The report discusses five consumer trends that will impact and influence industries over the coming years, which present significant consumer opportunities. For businesses to build and maintain strong market positions, it will be vital for their leaders, marketers and CMOs to leverage these consumer opportunities to create resonant product and service offerings. To officially launch the report, Google organized a panel event on 19 April 2018 aptly named “Think with Google: A peek into your consumer’s future”. In front of an engaged audience and alongside Nicole Fall and Sapna Chadha, Head of Marketing of Google Southeast Asia, Martin Roll presented these five emerging consumer trends that will shape the future of businesses across categories and discussed the implications for marketing leaders. 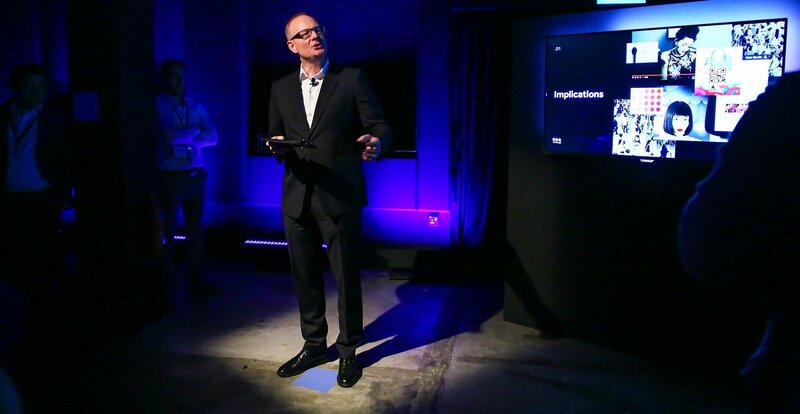 The event was attended by more than 50 Chief Marketing Officers and senior marketing leaders. The world today is rapidly evolving and getting increasingly hyper-connected and data-driven. As the pace of change intensifies, the pressure on marketers and businesses has heightened to demonstrate value and lead their organizations through this new landscape. This is particularly pronounced in Asia as home to many of the world’s fastest-growing economies. Innovations in e-commerce, online payments, and communications are driving new business models and shifts in consumer behaviour around the globe. Now, even more than ever, strong consumer insights are essential in order to succeed. Marketers who invest in detecting and developing these signals will be rewarded by staying ahead of the curve. In present times, opportunity and growth lie at the intersection of data and foresight. Shoppingmas: Shoppingmas events are festivals of the new age – special days that bring together commerce and entertainment. Consumers are increasingly participating in shopping festivals and occasions held annually. Single’s Day (11.11), Black Friday (day after Thanksgiving) and Cyber Monday (Monday after Black Friday) are classic examples of this, both which are extremely popular across many Asian countries and growing in size. The mushrooming of offline Shoppingmas events such as flea markets demonstrates that Asian consumers of all ages enjoy ephemeral, transient shopping experiences. These extravagant events thrive with retailers creating carnival-like shopping experiences. During these events, both online and offline retailers leverage excitement around limited-time purchasing opportunities to harness buzz. 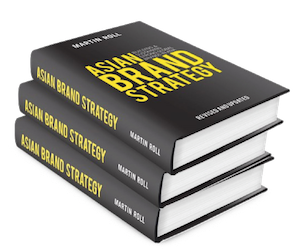 This allows consumers across Asia to save, splurge, and participate in a collective experience. Within this trend lies countless opportunities for brands to participate in Shoppingmas through sponsorships, content, games, giveaways, and special offers. The management implications for the above trend across organizations are profound and require bold actions from business leaders to integrate these events seamlessly into their plans. They occur in great bursts over a short time frame and are intense in nature; so planning, demand forecast, supply chain, customer service, and other functions need to work in tandem to kick them off successfully. Marketing leaders should play an end-to-end strategic role during these events, which also serve as a golden opportunity for them to place themselves at the operational center of gravity of the company and showcase the important role of marketing as a strategic value driver. Retailarity: Retailarity is defined as the point where retail and machine intelligence merge to turn every environment into an opportunity for shopping. Retail should be always perceived through the shopper’s lens. Being able to purchase any product, any time is one of the core features of e-commerce. Retailarity ramps that up by taking any surface, device or location, and merging it with artificial intelligence (AI) to create tailored shopping opportunities which also feel more tactile and sensory in nature. The Internet of Things (IoT), along with Online to Offline (O2O) – a practice in which consumers are encouraged to move from the digital space to physical environments to shop – are both important components of Retailarity. For example, Muji has launched a fully functioning hotel in China, effectively an interactive showroom for their products and the Muji lifestyle. Every item is potentially for sale blurring the lines between hotel and store, and what constitutes an evolving retail environment. Retailarity will present businesses the opportunity to help they consumers visualize owning the product, hence increasing sales. Organizations and marketing leaders will have to consistently gather insights and use them to deliver timely, relevant, and seamless Retailarity. It will also require marketing leaders to educate organizations internally about how these new formats are integrated successfully across functions, planning cycles, and management systems. Leisuressence: Leisuressence is defined as a re-interpretation of leisure experiences in a way that straddles categories. Today, time-poor, experience-seeking consumers demand multi-faceted elements from their leisure occasions – including travel, dining, fitness, and culture – to create reinvented experiences that straddle categories. This merger of multiple experiences creates a unique digital fingerprint, with daily routines becoming an experience. Dining establishments have become photographic backdrops, fitness centres the equivalent of a digital playground for adults, while young consumers connect with their communities via livestreaming. This merger of multiple experiences is what successful brands of the future will have to cater to. One example of this is how Singapore’s Pure Fitness gym has successfully launched the country’s first ‘immersive fitness’ concept at one of its centres. Cinema quality video content is projected onto a screen in a purpose built studio for its cycling class. Patrons get to ride over steep glaciers and through a space age city, enjoying an interesting mix of exercise, gamification, and fantasy. Such immersive fitness blurs the categories of what the wellness industry and consequently, the leisure industry have become. Creating and delivering seamless, relevant, and differentiated experiences is the key to success. Marketing leaders must put themselves at the forefront here. More traditional industries and typical legacy players may not have the same depth of knowledge compared to younger organizations and more disruptive brands. Adding in experiences and what comes with it into leisure products is exactly what could help drive differentiation and impact. Part-time Preneurs: Part-time Preneurs are consumers who have a full-time job but also a business on the side. There has been 3.8 times growth over the last five years in co-working space queries and 1.4 times growth among travel and work jobs, showing a strong shift in mindset about workspace environments. Increasingly, people are desiring flexibility at work, and hence aspire towards self-employment. Niche lifestyle e-tailer Naiise took its brand offline in Malaysia with a weekend creative workshop event held from 10-11 March 2018. The brand helped fans create their own customized products that could potentially be sold on its website. Aside from creating a new revenue stream for Naiise, it is also encouraging a new wave of Part-time Preneurs to launch their own products on its site. This trend creates opportunities for many traditional business servicing firms. Banks and other financial institutions could target one-person businesses offering a hybridized solution for increasingly complicated working lives that potentially cover a full-time job, a part-time hustle, and personal expenditure. Allowing customers to seamlessly move between these accounts would free up more time to make money rather than worrying about credit or paying bills. Accounting and legal services could similarly develop packages and services for Part-Time Preneurs offering knowhow on how to stay on the right side of taxation laws, as well as helping people protect their IPs. The implications for marketing leaders and their organizations are numerous. Firstly, Part-time Preneurs may become the new entrants in the market, providing challenges for established brands as they don’t operate in traditional, legacy models, as opposed to conventional competition. They may seem small at first, but with change of technology, access to consumers, and marketing communication, Part-time Preneurs may suddenly scale up their businesses with unusually high growth rates. They may also be a source of innovation, inspiration, and co-operation, so marketing leaders should monitor them closely, not only for competitive reasons, but also to assess whether there are opportunities for partnerships, joint ventures, and other forms of win-win situations. Curated For Me: A practice where fully customized shopping experiences through tailored content based on consumers’ personality, interests, and lifestyle and acceptance of AI recommendations are the norm. Traditional definitions of segmentation are disappearing as lifestyle and behaviour become more relevant to targeting than location and income. In the future, messaging could take into account mood and would be more responsive to emotional factors and create recommendations, rather than only relying on what consumers have looked at previously online. Brand interactions are becoming more intimate, informal, and consequently, relevant. This trend presents huge opportunities for many businesses. In the future, travel and ride-hailing platform can have a more personalized touch, shifting from being merely travel consolidators to concierges and service curators. For example, ride-hailing platforms can provide vehicles specifically chosen for their soothing music and calm, quiet drivers to take consumers or travelers from their start point to spa locations. There is also potential for hotel suggestions to be more personalized according to each user, rather than the general value-oriented deals that are mainly promoted today. The implications for organizations to deliver in a more personalized way to consumers requires a distinct approach to deep insights on consumers which are relevant, updated, timely, and actionable. The implications for marketing leaders and organizations to deliver in a more personalized way to consumers are quite profound. It requires a distinct approach to deep insights on consumers which are relevant, updated, timely, and actionable. Bringing this concept to life is not only a task for marketing—it requires typically the entire organization to work in tandem and towards the same goal. From ideation/design, prototyping, sourcing, supply chain, and all the way downstream towards consumers; organizations need to align processes and functions to reflect this approach of delivering products and services in a more personalized, curated manner. It is essentially a question of adapting towards a more outside-in approach as opposed to the more traditional inside-out. At the same time, front-end staff and customer-facing staff are tasked with a particular challenge as they will be part of bringing this to life in retail stores, customer services hotlines, and any other relevant entity. Understanding trends effectively, paired with adequate data and insights, is a powerful way for CMOs and marketing leaders to keep themselves updated and their organizations competitive. Today, there are a host of strategic and tactical tools to help CMOs and marketing leaders succeed. Successful CMOs and marketing leaders drive their businesses and brands through an outside-in lens, to give consumers what they want. They use multiple insights from many diverse sources to help shape strategic perspectives that guide tactical decisions. It is crucial to carefully analyse customer insights, know where to gather them from, pick the right ones, and most of all, integrate them into decision-making across the organization. The future consumer is one who makes no distinction between what is online and offline. Category and industry barriers and breaking down as consumers are demanding more from their everyday brand experiences, pushing the bar higher on what is expected to be delivered. Today’s world is hyper-connected, digitized, fast-paced, and data-driven. It is exciting but also demanding – particularly from the view of CMOs and marketing leaders. The speed of change will continue to be both a huge requirement but also a driver of new and exciting initiatives, products, and services. This will lead to innovation and new ways of satisfying consumers. Do you make an effort to understand your future consumer?